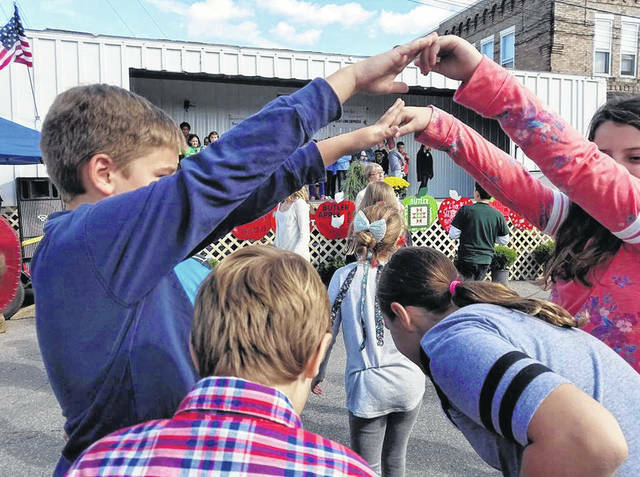 BUTLER – Parents and kids were making quick to scout out caramel apples and fritters on Main Street over the weekend at the 2018 Butler Apple Fest. But the fun was all about the kids. Youngsters, sizes ranging from tiny to higher on the growth curve, recited poems, talking about hero Johnny Appleseed, John Chapman. Johnny Appleseed is renowned in this area for making this part of central Ohio plentiful in apples. After reading and singing performances, the kids got into performing “dance sets” to square dancing music. 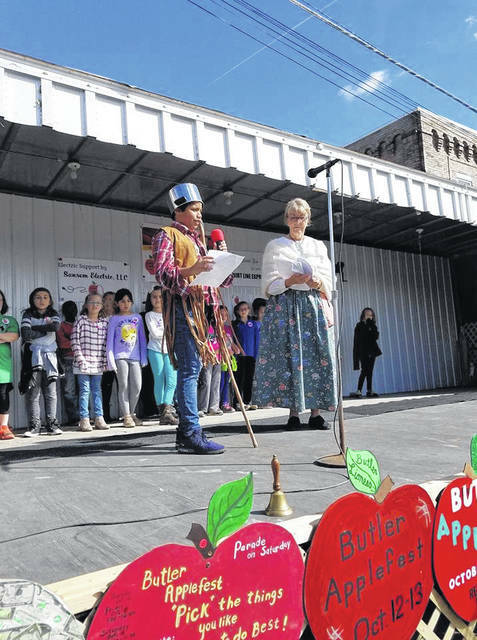 A highlight of the afternoon was revealing who would be 2018 Apple Fest queen. Regan Born, 15, was named queen and crowned by last year’s queen Lauren Mellott. Three contenders answered questions while on stage. Appearing with Born were Kylee Colegrove and Donnie Hoeflich. Butler elementary principal Libby Nickoli moderated the event. This year, contestants were asked questions on stage. This is the first year for that procedure. Born was asked what they would like to have people remember about her. Born said she wanted people to know her personality is about caring. Colegrove was asked what she would do if she were given one million dollars. She said she would probably give it to charity, or to family or friends if they were in need. Hoeflich was asked who had been most influential in her life. She said her cousin, and her mother. She said her mother was there for everything. Three judges retired from the fest to discuss contributions of the contestants and to make their decision. When that took longer than anticipated, Nickoli asked a set of questions she had carried with her. She wanted contestants to talk about what they would share about Butler if they traveled to another country. Born said everyone is “loving and supportive” and neighbors are friends. Mention was made about an art exhibit at Weekley auto dealership. It was put together by teacher Jenessa Luzader. 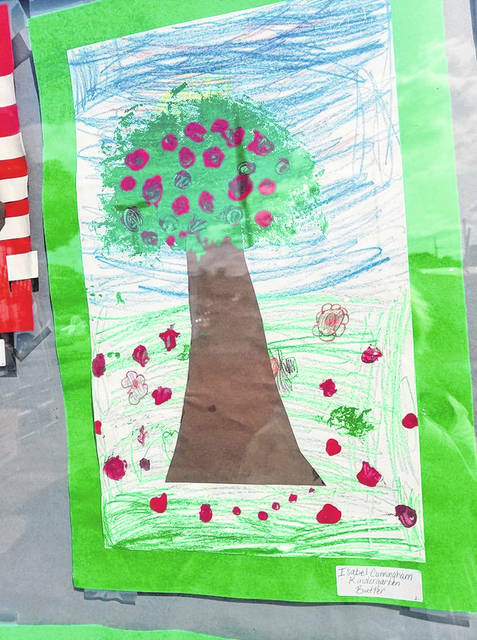 It shows the works of kids in kindergarten through fifth grade. Many of the works show towering apple trees.